How did we go from tulip-growing to tulip celebrating? Well, we couldn’t do it by ourselves. What started out as a family passion, soon bloomed into a wonderful partnership with Onos Greenhouses Ltd., who own and grow the tulips on our 20-acre field. As you can imagine, this yields a bounty of bulbs, and at the end of the blooming season, after our guests have enjoyed their vibrant display, Onos Greenhouses collects the bulbs and then uses them in their greenhouse operation, to produce cut Tulips that are sold throughout western Canada and the Northern States. It’s with their help that we’re able to bring you Tulips of the Valley, Western Canada’s largest and most recognized Tulip Festival! 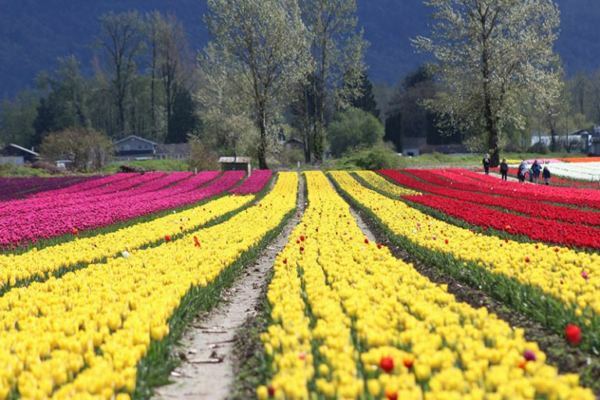 Since then, we’ve been the Tulip Ambassador, bringing the lively, bright colours of the tulip to the Fraser Valley. People have been pouring in from as far away as South Asia and Europe as well as closer to home from the US, Alberta and the Okanagan, just to get a glimpse of our terrain of tulips. When we first started cultivating these beauties, it was a pleasure enjoyed only by our family. After appreciating the tulip fields for years, we had to share the beauty with anyone who wished to see it. So, in 2006, we opened our fields to the public and we’ve done it ever since – for over 10 years! We originally opened our festival on Seabird Island, just east of Agassiz. It was on Aboriginal land, and we spent the first 10 years of the festival working closely with the local band to honour the Aboriginal culture. We sold Bannock at the festival, had aboriginal dancers, drummers, and even aboriginal artisans at the fields. Now in its twelfth year, the festival has grown from a couple of hundred visitors per season, to nearly 30,000, and we’ve relocated to charming Chilliwack, to better showcase the talents of the tulip. So, what is this festival of flowers all about? Tulips of the Valley takes place over a 3-5-week period, usually in April, sometimes into May, depending on the weather. 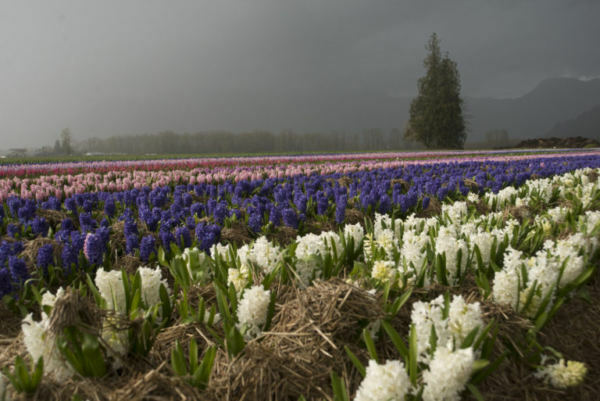 Actual length depends on temperatures, high temperatures pushes the tulips through faster. The first 2 weeks of our festival will be celebrating our beautiful new additions, over 10 varieties of Hyacinths and 17 different varieties of Specialty Daffodils. The last 3 weeks will be for celebrating our main act 20 acres of tulips. And while you’re taking in the tulips, hyacinths and daffodils, you might just run into one of us. We’re a fully operating family business, and a functional farm. Our family – including our three kids – have grown up alongside the tulip festival. One of our boys is an entertainer at the Fest. He’s the “balloon boy”, making fun, twisty balloon works of art. Our daughter helped face paint last year. And our oldest is now fully involved in running the festival, as well as selling his homemade paracord bracelets. Even grandpa is in on the fun! He’s been heavily involved since the festival’s creation, and every year, he spends 2 weeks in the fields. So, you might just see us, our three kids, or group of close friends at the festival, tending the tulips, selling tickets, or answering questions about the life of a bulb. We all work hard to make our fest the best! And without our band of volunteers and helpers (which we like to call Team Tulip), our festival could never have grown to the size it is. We also owe a big thanks to Royalwood Farms of Chilliwack BC, who lease their land to our partner, Onos Greenhouses, and who make this fabulous flower fest possible. Are You Tempted By Our Tulips? Sick of being stuck inside over the cold and depressing winter? Feel like you have limited outdoor options in early Spring? Have a family that needs to get out of the house, after being cooped up for too long? Are you a young couple looking for something Instagram-worthy? Or need a romantic afternoon in between rows of colour, taking fabulous selfies among 7 million tulips? Are you a great son/daughter looking to entertain your elderly parents on a short day-trip, that is also wheelchair accessible? Are you leading a tour group that is interested in bringing the real farm experience to your guests? Or a bit of outdoor exploration that is also close to home? Are you an international tourist looking for a special place to visit in Canada? Or someone who has always wanted to see the fields of Holland, but can’t afford a pricey plane ticket? Are you a photographer who wants to capture the perfect tulip shot? Or get the right kind of light as it hits our 20 acres of magnificent, rainbow-coloured tulips? Want to get away from the everyday world, to witness the natural, short-lived beauty of the tulip? 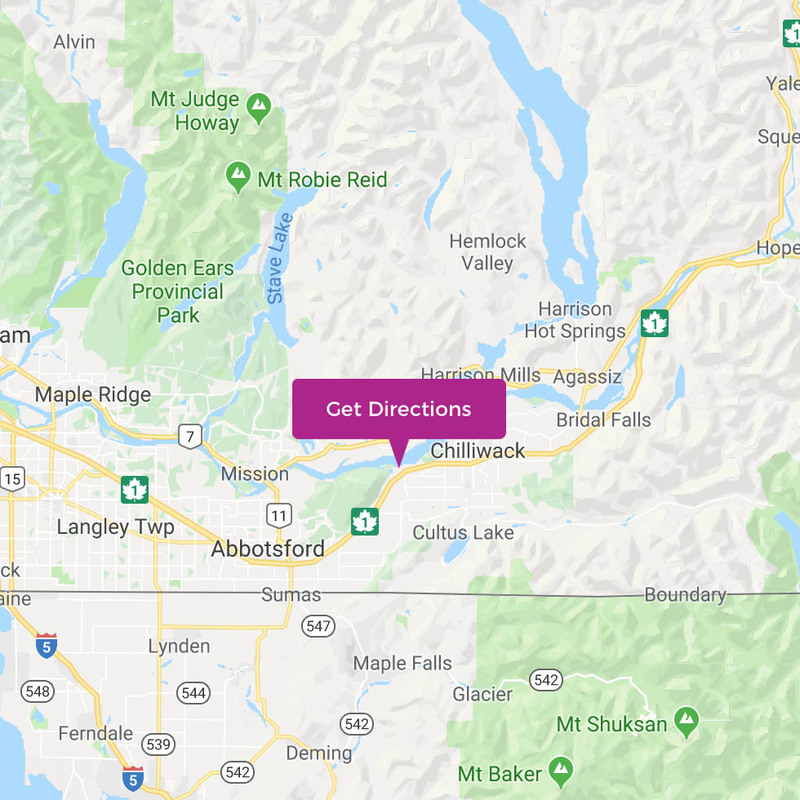 Want an inexpensive place to visit, as you soak in the lush countryside of the Fraser Valley? Want to celebrate an end to Winter and the start of Spring? If you said yes to any of the above, then you’re a great fit for our festival! Where can you enjoy the spectacle of a Dutch countryside, without having to buy a plane ticket or wear wooden clogs (though wooden clogs are welcome on our fields)? Here, at Tulips of the Valley! What makes us different? What’s our flower power? What, over 7 million tulips aren’t enough? Besides boasting the largest tulip field out of all the festivals, 3-4x more tulips than elsewhere in BC, our festival is also on a working farm. It’s not just an event that’s thrown together. We grow all sorts of things, all year round, and visiting us is like a behind the scenes peek at the real farming experience. We excel in the art of horticulture. We live, breathe and work the earth. Our knowledge of the land, and sustainable gardening practices, helps us bring not only tulips, but other flowers to the fest. 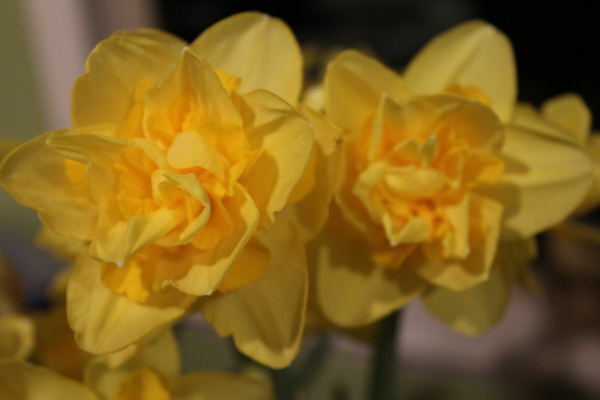 We now have an additional 3 acres and 17 varieties of specialty Double Daffodils, that look like peonies, as well as over 2 acres planted in Hyacinths! Because of this addition, we’ll now be open an extra two weeks early! And if you haven’t smelled the fragrance of a hyacinth, you haven’t lived. It’s heavenly! Living Art! – come see our Hyacinth Mosaics – yes, gorgeous mosaics made of flowers! There will also be a face cut out mural created by a local Aboriginal artist Fred Jackson. The World Friendship Tulip – NEW! We have a bed of the creamy yellow Darwin Hybrid that was selected as the international symbol of friendship and peace by the World Tulip Summit Society. Yummy Traditional Dutch Foods – to keep your tummy from rumbling, we offer tasty treats that are made fresh, on-site, such as our Specialty Dutch Stroop Waffles! We also have 2-4 food trucks on-site, ready to serve you daily. Crafts for Kids – get creative with the kids in our craft tent! Let the tulips inspire your personal works of art! Photo Competitions – want to dig-deep and be part of the fest? Enter your festival photos into one of our on-line “Best Photo” competitions, for your chance to win great gifts donated by local businesses. Find us on Instagram or Facebook. Welcome Signs in Over 20 Different Languages! Our Festival Store – which sells fresh cut and potted tulips and hyacinths, postcards, photo cards and more! Open 7 Days a Week – because we’ve added our Daffodils and Hyacinths, our festival’s viewing time will be longer, 4-5 weeks! Accessible to All – just remember we are on a farm and we are completely weather dependent. We have a beautiful covered area that over looks our fields should the weather make for difficult walking/wheeling around our fields. Plenty of Free Parking – we have around 10 acres of field parking, with 5 acres in bark mulch for a better all-weather option. Our gravel driveway can accommodate 8-10 tour buses at one time and 8-10 handicap vehicles. We are doing our best to ensure the land we use for parking can be re-purposed back into viable farm land when we no longer need it. We have chosen Bark/Pole peelings (not Cedar) as our base which over time will compost and put nutrients back into the soil for future healthy farming crops. Most importantly, the Tulips of the Valley festival celebrates an end to winter and a way for our guests to start enjoying the beauty of spring!